These clear rounded jars with gold antelope covers look beautiful displayed on a bar or set up on a drinks station. Great on their own or filled with our string lights or even flower petals for real wow-factor. 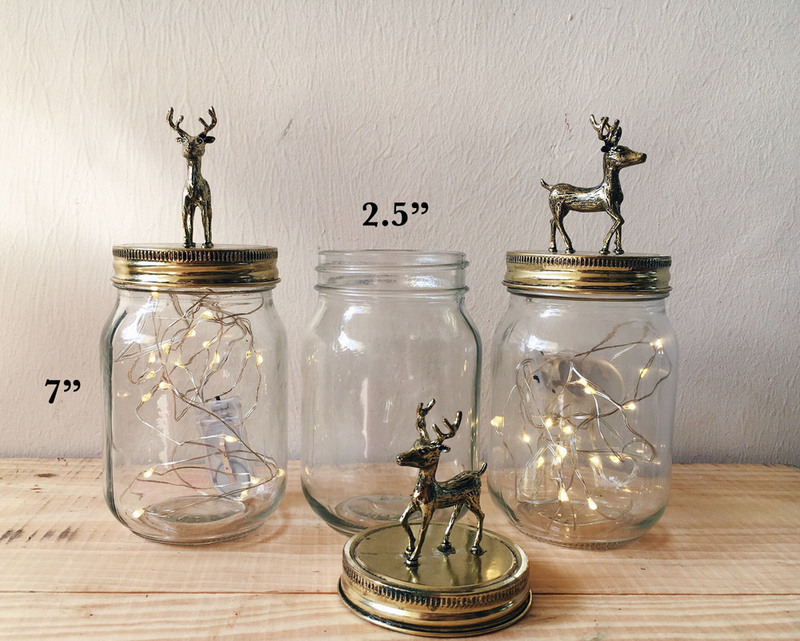 Comes in a set of three, these jars are 7" tall with an opening of 2.5" diameter. String lights sold separately.